Dulwich Hill Addison uses their own specialised couriers to deliver their food. Crispy pork belly with Chinese broccoli. Crispy pork belly with Phik Khing chilli paste. Fried sliced fish with Phik Khing chilli paste. Slow cooked Beef with homemade massaman curry paste with potatoes. 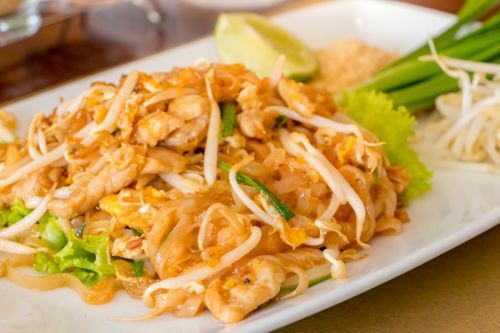 Pad Thai contains dried shrimp & peanuts. Deep fried salt and peppers. Change steamed rice to fried rice $1.00 extra.